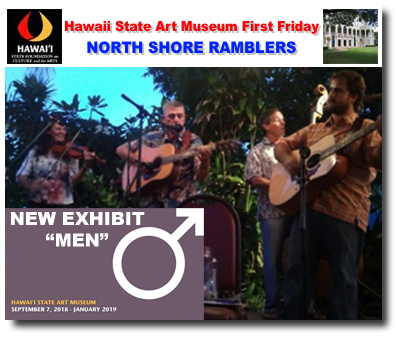 Hawaii State Art Museum First Friday: NORTH SHORE RAMBLERS & NEW EXHIBIT "MEN"
Free, family-friendly evening of art and music at HiSAM! 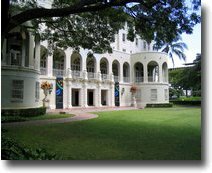 Come to the Hawaii State Art Museum for live bluegrass music with the North Shore Ramblers. Museum galleries will be open, admission is always free. 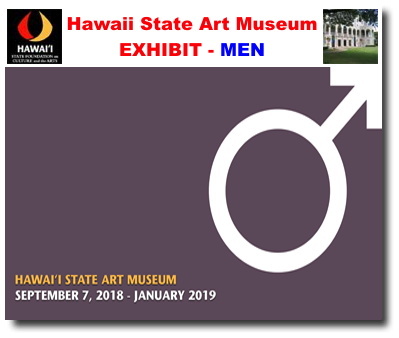 There will also be an opening reception for a new exhibit, "MEN," in the Diamond Head gallery on the second floor. Opening reception for the "MEN" exhibit - meet local artists and arts enthusiasts! Take the stairs or the elevators to the second floor museum galleries to view the new exhibit and listen to live performances by the North Shore Ramblers (bluegrass). The opening reception is free and open to the public. This exhibition of works from the Art in Public Places Collection puts its focus solely on artistic depictions of men, featuring artwork by Satoru Abe, Bumpei Akaji, Rick Allred, August Becker, Carol Bennett, Jean Charlot, Margaret Ezekiel, Francis Haar, Allen Hori, Robin Kaye, Kenneth Kerslake, Oldrich Kulhanek, Wayne Levin, Belinda Ling, Huc Mazelet Luquiens, Susan Martin Maffei, Melinda Morey, John Takami Morita, Ben Norris, Louis Pohl, Brian Sato, David B. Smith, James Surls, Dietrich Varez, Paul Weissman, Gwen Whitney, and Kaina Young. The museum cafe, Artizen by MW, and the museum gift shop, HiSAM Gallery Shop x MORI will also be open, with the Dae Han Ensemble (jazz music). The Friends of the Hawai‘i State Art Museum will be hosting a bar with wine and beer. Valet parking will be available at the Richards St. entrance to the building. Additional First Friday activities in the No. 1 Capitol District building on the ground floor with the HiSAM Museum Gallery Shop x Mori: live music with the Dae Han Ensemble, and clay demo with Daven Hee, Jon Vongvichai, and Ashley Huang. Considered among the fastest wheel throwers in the state, ceramic artists Daven Hee and Jon Vongvichai will dazzle and amaze with how quickly they can create cups, bowls, and pots. Award winning ceramic artist Ashley Huang specializes in hand building animals and will bring clay to life right before your eyes by sculpting each beautiful piece by hand. The museum cafe, Artizen by MW, will also be open. The Friends of the Hawaii State Art Museum will be hosting a bar with wine and beer. 6:00 - 9:00 PM, take the elevators or stairs to the second floor of the No 1. Capitol District building (250 South Hotel St., corner of Richards and S. Hotel). Free and open to the public. HiSAM galleries will be open (admission is always free). Parking available across the street in the Ali'i Place building (enter at 1099 Alakea St., cash only) or metered street parking in the area. Valet parking is available at the Richards St. entrance to the building. Several TheBus lines stop in front of or close to the building. This exhibit invites you to engage with a selection of recent additions to the collection from across the Hawaiian Islands. The thirty-one artworks acquired from eighteen exhibitions offer an insight into current trends and themes in the local arts scene and provides an opportunity to see the diversity of works being created in Hawaiʻi today. 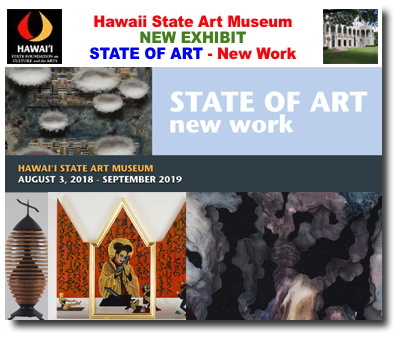 A selection of recent additions to the Art in Public Places Collection of the State Foundation on Culture and the Arts from across the state of Hawai`i. 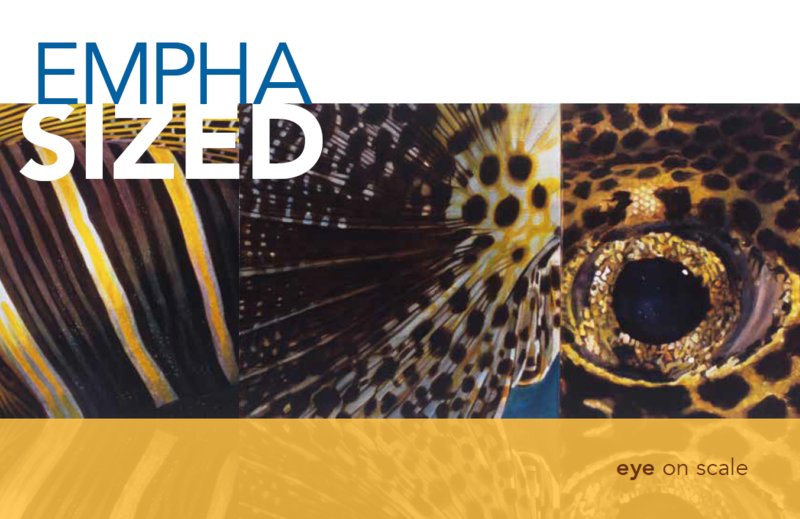 This exhibit tells a story of the past, examining the overlapping influences of nature's bounty and human impact on a fragile environment. As you walk through the exhibit, you will see art that reflects on the forces of nature and man's intrusion. Relevant quotes are placed on walls to help the viewer understand the meaning. Through a selection of works from the Art in Public Places Collection of the State Foundation on Culture and the Arts, this exhibition explores the various ways that artists play with scale, and how this in turn affects the viewer's responses and understanding. The museum cafe, Artizen by MW, will feature a special First Friday menu and the museum gift shop, HiSAM Gallery Shop x MORI will be open. The Friends of the Hawai‘i State Art Museum will be hosting a bar with wine and beer. The ground floor Sculpture Garden will be open for the evening. Artists in the exhibit: Carol Bennett, Pat Catlett, Lee Chesney, Christopher Cole, Dorothy Faison, Sally French, Dennis Hanshew, Claude Horan, May Izumi, Virginia Jacobs, Jun Kaneko, Paul Kodama, Freeman Lau, Cade Roster, Bruna Stude, Masami Teraoka, Allison Uttley, and John Wisnosky.